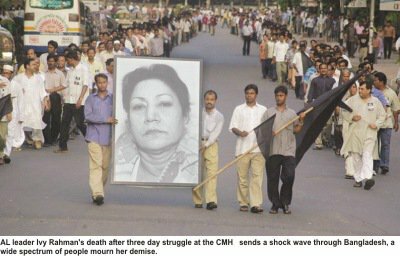 It was 5.23 pm on 21st august 2004 when Awami League chief Sheikh Hasina was wrapping up a rally protesting Sylhet blasts. 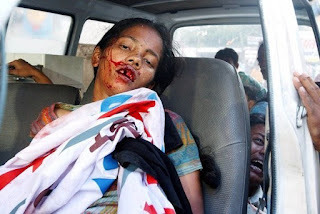 A wave of grenade attacks on her left at least 16 people killed and left around 200 persons critically injured including top Awami League leaders Abdur Razzak, Amir Hossain Amu, Suranjit Sengupta, Ivy Rahman and Kazi Zafarullah. The party secretary on Women affairs Ivy Rahman died in the Hospital later in the day. The unknown assailants fired seven bullets at the bulletproof SUV that Hasina boarded immediately after the blast. The unusually poor deployment of police at the rally and the absence of forces on nearby building rooftops are a remarkable deviation from the usual practice. Motaher Hossain, general secretary of AL Krishak League said some people on the roof of Ramna hotel and adjacent building were throwing bombs. At least 13 grenades exploded one after another, and also who were present on the spot told a white Microbus carried of some injured person who were among the assailant and were wounded by their own bomb. Blame game started at the very moment Hasina spoke out loud about government’s conspiracy to kill the remaining member of Bangabandhu Sheikh Mujiber Rahman’s remaining family members, BNP leaders hold back and Abdul Mannan Bhuiyan commented that they have blamed the government out of emotion. But soon BNP leaders changed their tone and started to blame AL for attacking their own rally, they argued AL had done it to destabilize the country and discredit the government only to grab the power. Fiction and conspiracy theories were put forward by various columnists in the media. Pro Awami columnists blamed the fundamentalist forces and the right wing coalition government for this attack while pro BNP columnists blamed AL and pointed finger towards the country’s biggest neighbor India. However most columnists inclined towards Awami league and left parties and leaders and activists of these parties discovered a pattern in the bomb blasts. In most cases secular forces and those who believe in culture, tradition and democratic values had been the target. The same group was behind the attack on Hasina’s rally. Those pro BNP columnists pick up the same incident and argued Hasina was not the target of those assailants, if she were their target then why none of those grenades fall on the truck and also wrote thousand pages about AL’s possible motive behind this? Some suspected it as a plot by international Muslim extremist groups; some pointed towards the association of ISI (Inter Services Intelligence); while Jamaat leader Matiur Rahman Nizami believes it is the work of “well known enemies of Islam” who masterminded, through various covert organizations, to carry out such brutal murders. It became increasingly hard to dig out the truth from these fictions. With conspiracy theories you can use any piece of evidence to either prove or disprove your opinion and you can pick up any particular incident to strengthen your position. Truth has many faces but with conspiracy theory all you can achieve is a thousand shade of the truth and all these are equally probable and could be equally false. In this present regime we have finally a charge sheet that clearly indicates Awami Leagues position is correct in this issue, RAB and other government intelligence agency finally concluded that Islamic militants are behind this attack and also a small fraction of BNP activists patronized this attack. But is it the whole truth or only a facade? Lets look at the proceedings of the investigations. 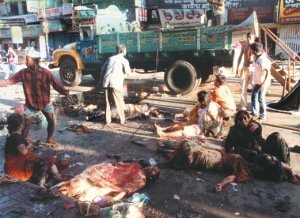 To investigate 21st August 2004 bomb blast then BNP government first employed metropolitan police’s detective branch to investigate this incident, then this case was handed over to the criminal investigation department of Bangladesh Police. Five investigating officer under 3 officers in charge investigated this incident for over 4 years and they had submitted two charge sheet contradicting each other. What is the progress in this case? When ever you ask this question to a law enforcement officer, a certain reply will be that “we are still investigating this matter. We had some lead but for the sake of this on going investigation we can not tell you anything.” Even after submitting charge sheet against 22 person in June 11, 2008 and acquitting all other person found guilty (on the first charge sheet presented by the CID), still the investigation has not been closed. So far we have 2 persons who claimed that they had actively participated in this failed assassination. 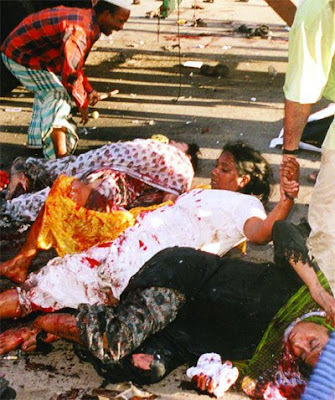 On 26th June, 2005 Joj Miah from Noakhali confessed to police that for 5000 taka he carried out this attack under the order of Subrata Bain, a top terrorist. Subrata Bain and his group had close ties with some notorious AL leaders and they fled to India after alliance government took over the state in October 2001. 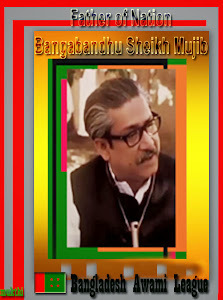 He confessed to a magistrate that he had never seen any grenade before but Subrata Bain, Joy, Molla Masud ordered him to participate in this assassination. ASP of Police [CID] Abdur Rashid was the investigation officer then. But the government were not satisfied with this finding so led by Munsi Atikur Rahman the investigation continued. The investigation found a paved path established by the coalition government. So far we have two investigation reports, one of them was by Justice Jaynul Abedin, chairman of the one man investigation committee formed by the government to investigate 21st august grenade attack on Awami leagues rally. Awami League has rejected this report claiming it lacks neutrality. And another one was submitted by the Supreme Court Bar Association. According to Moudud Ahmed, who was Law minister at that time, claimed that this inquiry committee is illegal. Justice Jaynul Abedin had submitted his 162 pages manuscript of coalition governments collective story on 2nd October 2004. He was the member and chairman of one man inquiry committee formed by the government to investigate the grenade attack on Awami League rally on 21st august. On the eve of this submission those authorities in concern had invited journalist to give some insight of the report. After scrutiny, critical and painstaking analysis, Jaynul Abedin did omit the possibility that coalition government and his ally, some extremist religious group and a part of Awami League was behind this heinous attack on Awami League activists. Because Jaynul Abedin was a BNP activist in the past, Awami League questioned the neutrality of the investigation committee. Even though 123 people given their statement to this committee but that does not include Sheikh Hasina, who was the prime target of this massacre. Sheikh Hasina rejected the call for her statement. Like any other investigation report submitted by any government formed investigation committee it also embraced the fate to remain unpublished till-to-date. On 22nd august, 2004, immediately after the grenade attack, The Supreme Court Bar Association formed an inquiry committee. Barrister Kamal Hossain was elected as the chairman of that committee and the other members of this committee were Rokonuddin Mahmud, Abdul Malek, Amir-ul-Islam, M Zahir and Muhammad Ayenuddin. While Hasina wrapped up the rally, at that very moment a grenade went off loud and it was followed by at least 10 such explosions. 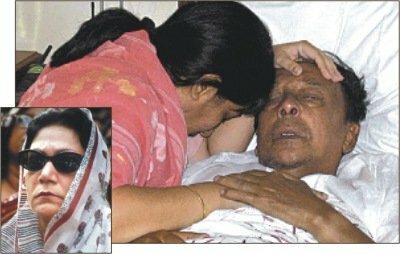 Awami League leaders formed a human shield to cover Hasina from the splinter, they were injured in this process and soon after they escorted Hasina to her bullet proof SUV and Hasina left for Sudha Sadan, while on the move that SUV was attacked by bullets. Witnesses on their statement confirmed the SCBA inquiry committee that they had not seen any member of the law enforcing agency in action there. 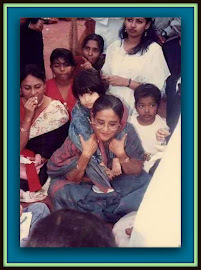 After inspecting the place of occurrence on 27th august 2004 they went to Sudha Sadan, where Hasina assured the committee her full cooperation to find out the truth. Hasina’s security personal and her driver gave their statement to this committee and this committee also inspected the SUV. Driver on his statement told the committee that he drove towards the east, then took a left turn and then he drove towards Sudha Sadan through zero point. But police officers deployed at the rally on 21st August on their statement said to inquiry committee, SUV carrying Sheikh Hasina away from that place drove westward, took a right turn, and then went to Sudha Sadan through zero point. On 16th, 17th, 18th September the committee watched the video tape recorded by ATN, Channel I and NTV. On ATN video tape they saw a young man purposefully looking towards the multi storied Dhaka City Bhaban. Apart from this, on Channel I and NTV footage some suspicious incidents were seen by the committee members. The inquiry committee sent two letters to Prime Minister Khaleda Zia, requesting her to extend cooperation for the inquiry and to direct the law enforcing agency to cooperate with them in interest of its work. A letter was sent from the inquiry committee to IGP Shahudul Huq on 29 August 2004 requesting him to direct the police authorities to inform the inquiry committee of the number of persons who were deployed for maintaining the law and order in the public meeting on 21st August 2004 with the descriptions of their duties and locations. After 3 weeks another letter was sent to him, requesting for his interview. The inquiry committee requested state minister of home affairs, but all of them turned down their request further more the law minister Moudud Ahmed on several occasion said that this inquiry committee had no legal basis and any report of any such illegal committee should not be recognized. But the government did inform the SCBA inquiry committee that they had done every thing that is possible for them and sent a copy of the statement made by the State Minister for Home Affairs in the Parliament. In that speech the State Minister mentioned that the police made all out efforts to identify the culprits immediately after the incident and within 24 hours a Judicial Inquiry Commission was constituted with a judge of the Supreme Court as the sole Member. He also mentioned that the Government also arranged for an “international” inquiry into the 21st August incident side by side with Bangladesh police investigation and in response to the Government invitation 3 (three) teams from Interpol visited Bangladesh and helped the inquiry. Besides this, the government had also taken cooperation of FBI of USA. The SCBA inquiry committee made repeated requests at the highest levels of the government for obtaining copies of reports of earlier bomb-blasts, the report of the ‘judicial inquiry’ into the 21 August, 2004 constituted by the Government, and other documents and information, but such requests have till-to-date were turned down. The Supreme Court Bar Association (SCBA) inquiry committee concluded it was a pre-planned attack, carried out on the basis of a carefully prepared plan, targeting Sheikh Hasina and other leaders and persons attending the rally. The firing of the bullets and grenades on the vehicle by which she was leaving the place of occurrence, confirms that she was the target. The committee urged government to publish all reports of investigation within one month or else public may lead to believe attempt on Sheikh Hasina’s life was to some extent was patronized by this government. Some columnists claimed in the media that the AL government, after assuming power in 1996 barred Islamic scholars from issuing fatwa’s through a High Court order. 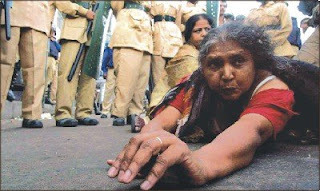 The government also came on strong against the right wing protesters and arrested hundreds across the country. This had angered HUJI. Mufti Abdul Hannan, the operative commander of the banned Harkatul Jihad-al-Islami revealed on 19th November 2006. However question remains as why HUJI chose to attack Hasina after all those years and during the period when there was a row of political killings of Awami League leaders (Kibria, Ahsan Master etc.) were happening. HUJI members were used but who masterminded the attack? 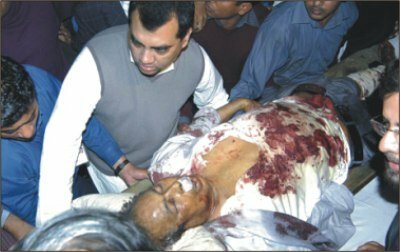 In January 2008, former deputy minister for information of the BNP government Abdus Salam Pintu was arrested for his involvement with the grenade attacks on Awami League rally on August 21 in 2004. He was arrested on the basis of confessional statement made earlier by detained Mufti Hannan who claimed that the attack on the AL rally was planned at the official residence of the former Deputy Minister. Hannan said that Pintu was present at the meeting and later supplied the grenades. “The CID officer said they were certain after the arrest of Mufti Hannan and Pintu that the attack on the AL rally had been aided and abetted by Lutfuzzaman Babar and the Hawa Bhaban. HUJI is the culprit but who used them and why? “CID Chief Additional Inspector General Jabed Patwari said HUJI top leaders planned and carried out the attacks to kill Hasina as a few arrested attackers said in their confessional statements that Hasina would harm Islam if she was alive and came to power again. But the question remains whether HUJI tried to kill Hasina on their own or it was a political assassination plot linked by BNP to take out the opposition. Like every other political massacre the 21st August grenade attack on Hasina has no clear motive whatsoever and after 4 years of investigation we are not certain whether those who were behind this ghastly attack have finally been exposed. Will we be able to know the truth? Rasel Pervez, prominent blogger in Bangla blog sphere who is famous for his political analysis. Mr, Rasel Pervez completed his MS on Physics from the US and awaiting PHD. One Response to HUJI tried to kill Sheikh Hasina: Conspiracy Theory Or Truth? 1. 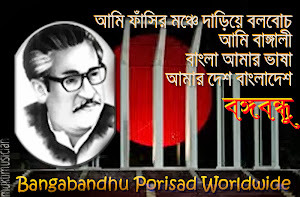 Khondkar Abdus Saleque on November 20, 2008 at 6:45 pmWhy always Sheikh Hasina an progressive force like Kazi Aref,Udichi,Ramna Batomul,Progressive Journalists of Khulna( Humayun Kabir,an Others),Poet Shasur Rahman ,Dr Humayun Azad and others were target of terrorists?Why no one of so called nationalist or self styled Islamic force came under attacks of terrorists? What does this mean? These terrorists act as agents of identified beneficiaries to make the politics clean of progressive patriotic democratic forces to serve the interest of the so called nationalists.Bangla Bhai wanted to talk with Journalists before execution to tell the truth but was not allowed.If he could talk he woul definitely have exposed many involve in making him big.In Bangladesh politics of killings will never be over until all killings are fairly an openly tried. The trial of 21 August grenade attack must be held properlyto punish the real criminals, sponsors and mastermind.Such organised crime can not happen in the heart of the capital city in the broa day light without knowledge and active support of the party in power.People say Ziaur Rahman ha moral support to August 15,1975 mid night massacare .No one shoul be surprised if Babar, Hawa Bhaban and intelligence agencies were actively behind August 21 carnage on Hasina meeting.History will reveal someday.